In a world of increasing globalization, the importance of learning different languages is growing far and wide. For that very reason, Langhead.com has build up a platform with an ever growing base of professional language teachers to gift you the talent of speaking and communication. It enjoys nationwide repute as one of the premier institutes in India where you can get solutions of all your language needs. As one of the principal educational institutes, Langhead.com has to its credit a pool of language teachers, translator, interpreter, tourist guide, content writer, proof reader, corporate trainer, etc. to give you a wider exposure in language training. Apart from that, we are also growing as a platform to provide language teachers for schools, colleges and institutes as well as tutors for home tuitions, group tuitions and online tuitions. Our language experts and teachers are well educated and come with a wealth of experience in teaching as well as in various other sectors. We ensure that your future gets secured under the expert guidance of our skilled language tutors. We also provide language experts for MNCs and tourist guide for tourists as their demand is going too high. If you are looking for professional language experts who have relevant qualification with excellence in training groups as well as one-to-one model, then Langhead.com is committed to provide you best corporate trainers and experts. We also facilitate market research in different languages, such as Arabic, English, Hindi, German, Italian, French, etc. So register with us and gain multiple benefits with respect to all your language needs. Trust us for best Services & Contact us for best Language Professionals. 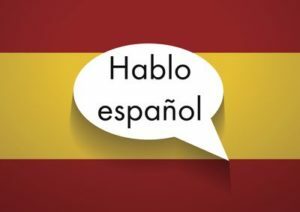 Teach Spanish as per NCERT and CBSE guidelines for Primary School. High proficiency in English both written and oral.